Posted by makingyourdashcount in civil disobedience, hampton, historically black colleges, martin luther king, segregation, Uncategorized. After someone dies, it’s easy to want to hear the stories one more time. Withstanding that possibility, all one can do is piece together sketchy memories of once heard tales. This past Martin Luther King Day made me think of some of the stories my mom told of living in Hampton, Virginia as a young girl. My grandfather taught at the historically black institution, Hampton Institute, now Hampton Univeristy for several years, as did many Jewish educators who were not welcome in northern white schools. 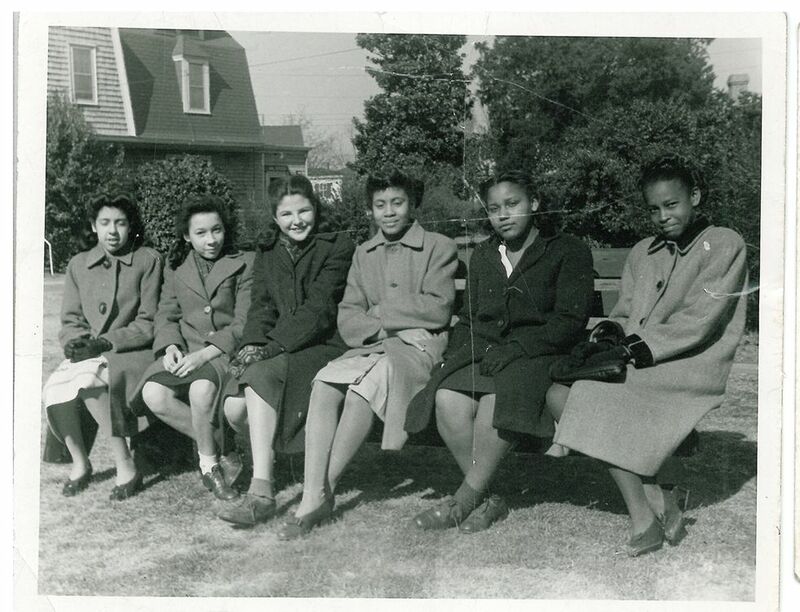 Although my mom did not attend high school in Hampton, she did grow up there, where she made some close friends. My favorite story from Hampton had to do with mom convincing the manager of the movie theater she was black so that she could sit with her friends in the segregated theater. That just makes me laugh, as I look at the above picture, probably taken sometime between 1942-1945. I would love to know if these were the friends she went to the movies with. How she convinced ANYONE she was not lily white is beyond me. My mom was always an advocate for equal rights: racial, gender, economic, religious, sexual orientation, age…. you name it. She even marched on Washington at the age of 74! It is obvious that her life was grounded in human rights and justice. Thank you, mom, for passing that onto me.